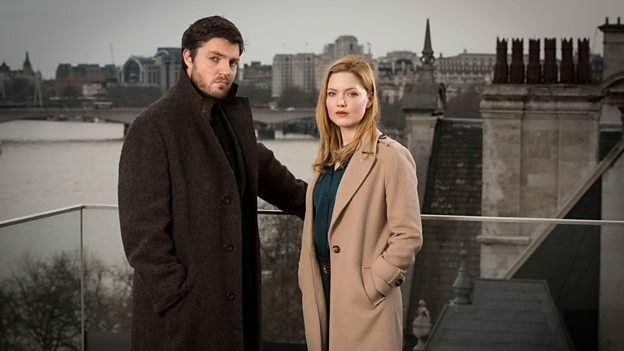 BBC One announced today that Lethal White is coming to the little screen in your living room. (1) It will be a “four-part drama,” longer than any of the previous adaptations, which, given Lethal White‘s length, is simultaneously a relief and a shock: great that they aren’t going to squeeze it the way they did Silkworm and Career of Evil so that the story is almost not recognizable, but, then again, only four parts? How are they going to break this story up so that it works in four installments? (2) Everyone in the original teevee series is back. Bronte Film and TV, Rowling’s production team, are all on board again with Rowling, Neil Blair, and Ruth Kenley-Letts listed as Executive Producers and Tom Edge as screenwriter. 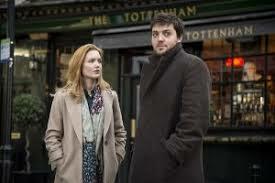 Tom Burke, not quite six feet tall, will return as well as the diminutive Cormoran Strike, and Holliday Grainger, too, is back as Robin Ellacott-Cunliffe. (3) We get some numbers in this press release. The BBC brags that each of its adaptations reached a big audience: “Each series was watched by more than 7 million viewers in the UK alone.” I guess that’s really good for ‘over there.’ In the US, a much, much more populous country, our top teevee shows get almost three times that number as their audience. And I doubt the ‘Strike’ adaptations on cable here managed even seven million viewers. 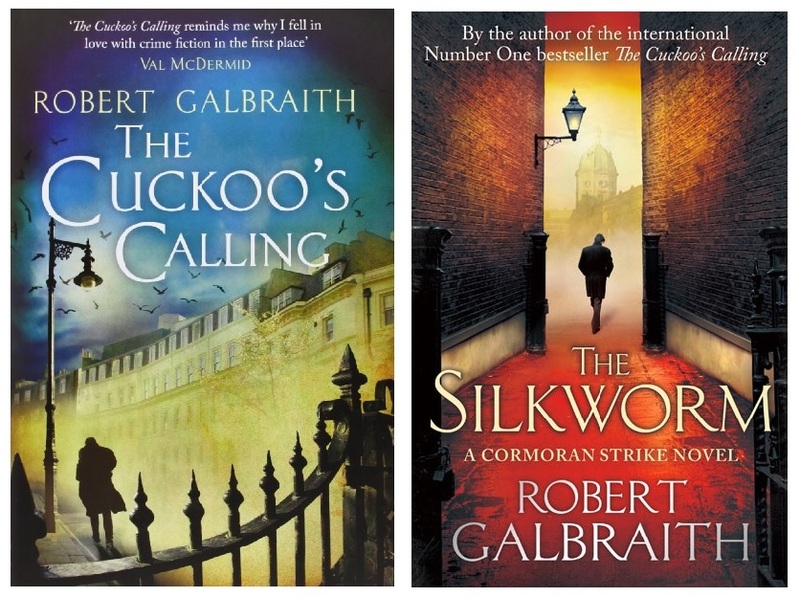 More interesting to me was the number of books the Robert Galbraith series has sold. 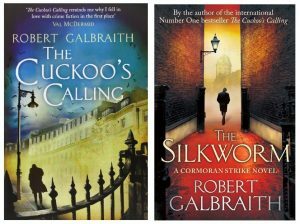 The Cuckoo’s Calling was published to critical acclaim in 2013 and went on to be a global bestseller, followed in 2014 by The Silkworm and Career of Evil in 2015. All three books were number one Sunday Times bestsellers in both hardback and paperback and Little, Brown has sold in total more than four million copies worldwide across all editions. Three books by J. K. Rowling writing under a pseudonym have sold “four million copies worldwide” in the five years of their publication. I know comparisons of this kind are simultaneously odious and inevitable but here it is: Deathly Hallows sold 8.3 million hardcover copies in the United States in the first 24 hours of its being on sale. 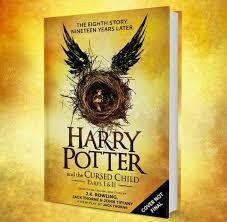 Cursed Child, the best selling book of 2016, a story not even written by Rowling, sold 4.5 million copies in the US alone in its first year. I couldn’t find any numbers for the Fantastic Beasts screenplay beyond that it made #3 on the USA Today best sellers list the week of its release (Lethal White is now #2 there) — and it, of course, was only a transcript of the film’s final cut (sort of); few wanted to read the movie they could watch. What are your thoughts about this news and these numbers? Are you looking forward to seeing the adaptation of Lethal White? What scenes do you hope they get right? Which ones will almost certainly get cut? Let me know in the boxes below! Tomorrow I’ll share a literary reason why Strike will never sell like Harry Potter did and the Wizarding World does: ostrananie. Stay tuned! I can’t imagine how they will fit it all in but am sure they will cover all the uninteresting bits as the good bits (as with the previous adaptations) will be too expensive for the beeb to film. I wish Netflix had the rights as their budgets might have done them more justice.